Nothing says celebration like a magnum of one of our Rhône Blends. The versatility of these wines make them a perfect selection for pairing with all types of cuisine. Start your celebrations off right with the wine that will create memories with friends and family. 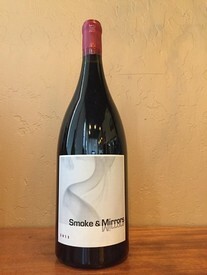 Nothing says party like a magnum of Smoke & Mirrors.